"It is relatively easy for companies to pay lip service and dress windows to cater to increasing popular concern about the social, economic and environmental sustainability of our lifestyle and consumption patterns. It is much harder to make sustainability an integral part of business, engrain it in corporate DNA and have it act as a constant filter through which business decisions are made. To do so, business needs good overall concepts, contacts, resources, and experts to translate the abstract 'sustainability' term into concrete actions, projects, revenues." Directing the Dialogue Program of the Heinrich-Böll-Foundation in Brussels to promote the dialogue between industry, politics and Southern NGOs (2000-1). As FLOs Managing Director, negotiating with a number of major international companies on how to really integrate Fair Trade into their regular business. 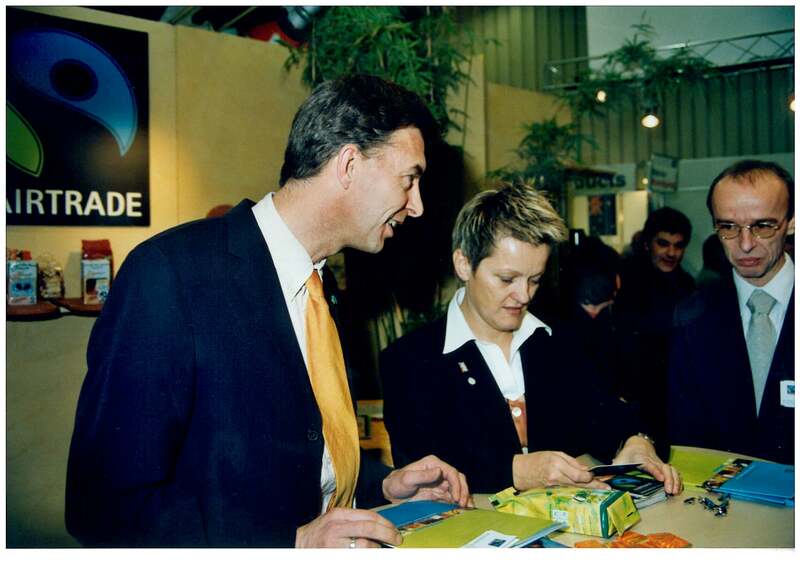 Speeches at conferences of the 2003 and 2005 editions of the world's biggest trade fair for organic products BioFach (in Nuernberg, Germany) on promoting organic and Fair Trade, in 2005 together with the Brazilian and German ministers of Agriculture. at FLO’s stand in the 2005 BioFach trade fair. Speech at the Sept. 2001 EU Seminar Social Labels, an element of corporate accountability organized by the Belgian Vice-Prime Minister Johan Vanden Lanotte.